Discover the perfect marquee for your needs. Call Weatherill Brothers today on 01953 882 394. Looking to expand the size of your venue but don’t have the planning permission or budget for a permanent structure? Then why not invest in a semi-permanent marquee to create a superb event space that’s flexible and versatile throughout the year. 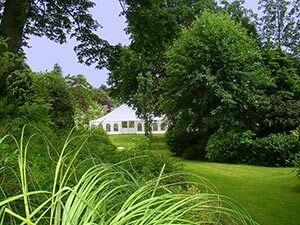 Here at Weatherill Brothers, we’ve been making marquees for almost six decades, and we’re one of the leading manufacturers in the UK. So we know a thing or two about the business. Our skilled craftsmen custom make marquees of all shapes and sizes, fitting them out for specific purposes. Whether it’s a wedding tent, corporate event space or even overflow storage, we can design and build a marquee to meet your needs. Our aim is to help you grow your business, so we’ll work closely with you to make sure you get the right kind of marquee for your space. We can custom make linings as well as provide floors, lighting options, doors, windows and even heating options. However you see your marquee space, we can make it happen. Just get in touch to find out more about our range of handmade and custom-built marquees. Our marquees are used around the country as semi-permanent structures to house up to 400 people, creating additional premises space and flexibility to operate the way you want to. From hospitality spaces to showrooms and more, the range of commercial marquees for sale lets you grow your business space in an affordable way. Create exciting and enticing atmospheres for your guests, with dining and dancing spaces for parties and events. Offer a more elegant feel with suspended wooden flooring, a range of lighting options and additional facilities, including bars and toilets. Whatever you need for your commercial space, we can help you. Contact us today to discuss any of our services. Join the conversation online! Follow Weatherill Brothers Ltd on Social Media.